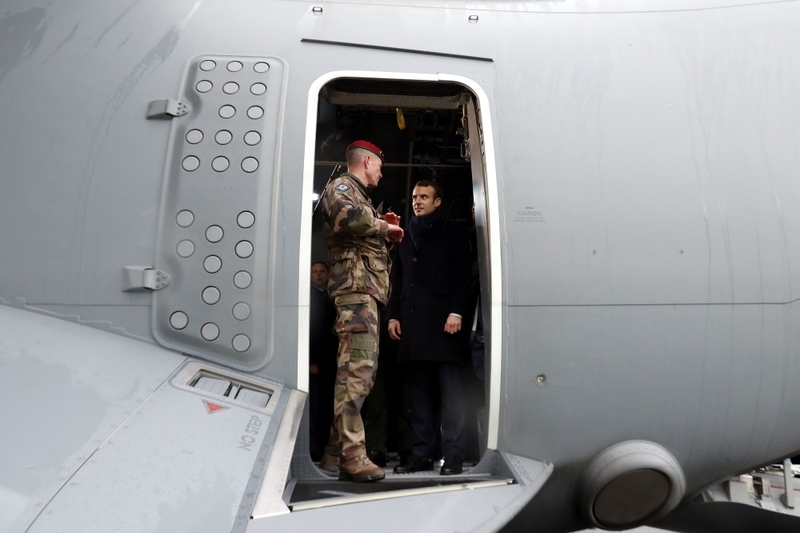 TOULOUSE, France — France will remain “militarily engaged” in the Middle East through 2019 despite the announced US withdrawal from the coalition fighting Daesh militants in Syria, President Emmanuel Macron said on Thursday. “The retreat from Syria announced by our American friend cannot make us deviate from our strategic objective: eradicating Daesh,” the president said in a speech at an army base near Toulouse, southern France. The French military has deployed 1,200 soldiers as part of the anti-Daesh efforts, via air operations, artillery, special forces in Syria and training for the Iraqi army. “The fight is not over,” Macron said, adding that in the coming months “we shall revise our global military deployment” but “we shall remain committed to participating in stabilization” in the Middle East region. Macron also expressed his condolences for “our four American friends killed on Syrian soil” on Wednesday in a bombing claimed by Daesh. Trump claimed Daesh had been eliminated in Syria to justify the US troop pullout, but the militants still hold small pockets of land in the Euphrates River Valley, and thousands of fighters are thought to remain in Syria. Analysts also say the US troop pullout will leave thousands of Kurdish fighters in northern Syria — who the Pentagon spent years training and arming against Daesh — vulnerable to attack by Turkey, which considers Kurdish groups a terrorist threat. Macron had already criticized US President Donald Trump for saying in late December that he would soon start to withdraw the 2,000 US soldiers deployed in Syria. Macron has persisted in trying to develop a “special relationship” with the billionaire tycoon despite widely differing political beliefs and styles, and the two had seemed to share a camaraderie in the early days of their respective presidencies.